Summary: Our top choice with its ease of use and high client success rate. Great for those looking to jump start weight loss and begin a diet. People have lost from 5 lbs to over 100 lbs. Coupon/Promotion: Get 3 Free Weeks Of Food. 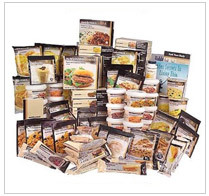 Nutrisystem is one of our top picks among all the diet programs available. It really comes down to simplicity and success. Not to mention they have an awesome deal with their 3 free weeks coupon (with autoship option – you get 1 free week for each month you're on NutriSystem – max 3 weeks free). How does not having to decide what or where to eat for an entire month sound? It's main advantage is that it provides all the food you will eat – all healthy, all the time – to make sure you lose weight. Nutrisystem is great for people who want to lose weight but don't want to follow a complicated diet program. It's almost as easy as ordering a book on Amazon. Place your order online, receive the food a few days later, and then follow your personalized diet plan and watch the weight come off. Once you place your order, your food will arrive in a big brown box along with a week of free meals (depending on the plan you order, you can get up to 3 weeks free). Your order will be express shipped and be delivered to your front door. You will also receive a Welcome Kit that features a checkbook-sized Meal Planner and a detailed exercise guide to keep you fit. This planner outlines your daily meals and guides you on how to proceed with your day to day exercise program. Nutrisystem is based on the Glycemic Index. The Nourish plan includes good carbohydrates and is also low in fat. All Nourish foods are either ready to eat, can be prepared in the microwave, you make them by adding boiling water. You can also pick the foods you choose to receive so you can get more of your favorites or delete those you don't really like. AutoShip is available if you have a significant amount of weight to lose. This means your next order will automatically be shipped when it's time for it, but your have the option to cancel or delay if you so choose to. As an added benefit counseling is available via e-mail and chat sessions and Nutrisystem.com is an informative, full-featured Web site including recipes, articles and an active community. Most dieters on this plan find they lose around 1-2 pounds a week after a slightly higher loss their first week on the plan (possibly due to water weight). This is a very healthy rate of weight loss and more likely to be maintained. Most report weight loss in the 10-25 pound range though some have lost considerably more weight. The best thing about Nutrisystem is that after you've been on it for a month or two, you begin to change your lifestyle and that's what it's all about. Changing your lifestyle and eating habits will usually result in a happier, healthier, and slimmer you. Visit the official site of Nutrisystem for more information. Or look at our top rated diet list to see what other weight loss programs make our Top 5.